Leaders of change initiatives often use strategies for change that announce, mandate, threaten, pressure, or expect people to change because the leaders say so. As a strategy to motivate employees, this does not work, people will likely resist or rebel. Or they may make it look like they are going along and then revert to their old ways. Outside-in change strategies, such as executive mandates, top-down communications, or forcefully imposing new practices cause resistance, fear, and anxiety for people. These conditions do not leave people wanting to change or able to change effectively. When change happens, people go through a very natural and common emotional transition. They may be shocked, disoriented, afraid, or angry. These feelings need to be acknowledged and supported by leaders. If they are resisted or repressed, the feelings will not only persist, they may intensify, making the challenge of change even greater. Not only will people be upset about the changes, they may be angry with the leaders who are imposing the changes on them. Change leaders must recognize this emotional transition as natural and expected. However, most leaders do not adequately understand or embrace the human dynamics of change. They are uncomfortable (or terrified!) with people’s negative emotional reactions, and would prefer to ignore them or give these “problems” to the HR department or change management practitioners to handle. Neither works. It is the leaders who are responsible for the change, and a sideline change management person cannot mitigate the negative impacts of the change that the leaders’ strategies have generated. People change when they choose change. Ultimately, people change from the “inside-out,” not by force from the outside in. They must accept the need and rationale for a change, make sense of it, go through their emotional reactions, ensure they can succeed in it, then finally commit and begin to take positive action based on that commitment. How can this best happen? Through employee engagement. Leaders often don’t understand or abide by this basic “inside-out” dynamic of employee engagement. Therefore, they ignore the fact that people will have adverse reactions to their change and neglect to design their initiatives with an intentional change strategy to minimize negative emotional impacts, or fail to build in employee engagement strategies to mitigate reactions when they occur. The art of conscious change leadership includes setting up change initiatives to minimize the negative impact on people. Have leaders consider the adverse human impact when determining the scope of their change and the best change strategy to accomplish it. Have leaders explore ways to make the impacts less disruptive, more compassionate, and easier to swallow…in advance of announcing the change! This way leaders can announce that a change is going to happen and start to allay people’s predictable fears about not being considered or being adversely effected. Communicating that you have taken people’s likely reactions into account will minimize their resistance and maximize their understanding, alignment, ability, and willingness to change. It will add to employees’ motivation to change. It will also raise the credibility of leaders. Part of the art of Conscious Change Leadership is leaders supporting their people through their emotional reactions without “fixing” them or making false promises. Supporting people through their emotional reactions is as simple as genuine listening, allowing the airing of feelings without the threat of reprisal, and asking people what they think should be done for the change to be successful. More and better two-way communications about various tasks in the change process on which employees have something to contribute, especially design requirements for the future state. Listening sessions to allow people to vent. Engaging appropriate stakeholders in the design of the solution, perhaps through open forums or working sessions where people can challenge aspects of the future state design and make new suggestions. Forums where stakeholders can ask and get honest answers about the future state and its impact on them. Training in the requirements of the new state. Pilot efforts and immediate feedback sessions. Once people have aired and personally navigated their emotional transition, they more naturally move in the direction of committing to a change they see as positive, relevant and meaningful. This does not mean that leaders need to “take away people’s pain” by not going through with the change. Quite the contrary. It simply means that even in a worst-case scenario, like downsizing through layoffs, you will still carry out the change because it is necessary to the future of the organization, but you will do it in a way that minimizes negative reactions and provides support for those adversely affected. 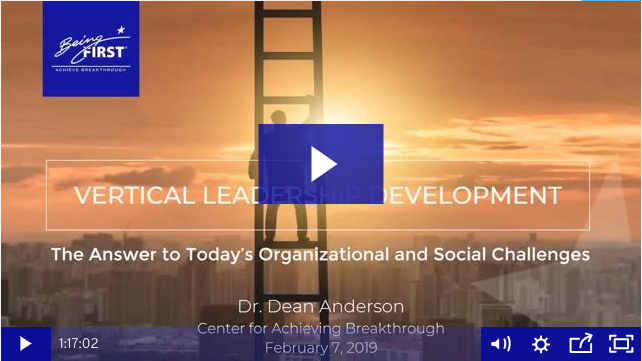 The outcome you are seeking is for stakeholders who are most affected by change to feel heard and cared for, and for them to see their leaders as compassionate, thoughtful, and intelligent about the real impacts of making their change. Give the people who must make the change a new reality as much consideration as you do the design of the solution. This is at the heart of employee motivation!